The United States Department of Veterans Affairs headquarters is seen on Wednesday May 28, 2014 in Washington, DC. 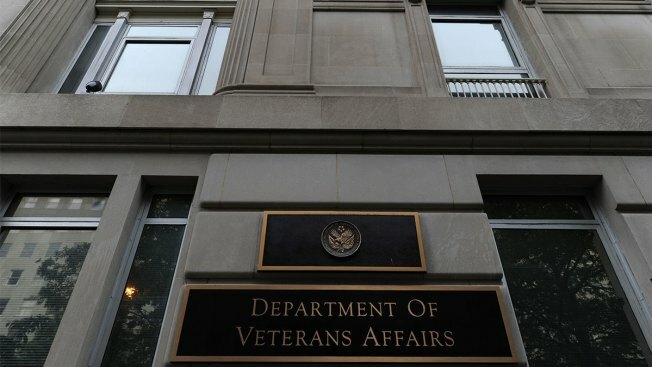 A judge ruled Thursday that thousands of Navy and Marine Corps veterans of Iraq and Afghanistan who developed post-traumatic stress disorder but were denied VA benefits can sue the military. A federal judge in Connecticut has ruled that thousands of Navy and Marine Corps veterans of Iraq and Afghanistan who developed post-traumatic stress disorder but were denied Veterans Affairs benefits can sue the military. Senior U.S. District Judge Charles Haight Jr. on Thursday certified a class-action lawsuit against Navy Secretary Richard Spencer by veterans who say they were given less-than-honorable discharges for minor infractions linked to untreated mental health problems. The discharge designation prevents them from getting VA health benefits. They also say the Naval Discharge Review Board, which handles applications from former sailors and Marines, unlawfully denied their requests to change their discharge characterization. The board granted 16 percent of discharge upgrade applications involving PTSD last year, compared with 51 percent approval of such applications by Army and Air Force boards, the veterans say. Navy officials did not immediately return messages seeking comment Friday. The lead plaintiff, Marine veteran Tyson Manker, of Jacksonville, Illinois, called Thursday's ruling a victory for tens of thousands of military veterans. The veterans are represented by students with Yale Law School's Veterans Legal Services Clinic, which filed a similar lawsuit against the Army last year. The lead plaintiff in the lawsuit, Marine veteran Tyson Manker, of Jacksonville, Illinois, said Americans need to know that hundreds of thousands of veterans with service-related mental health problems are being denied Veterans Affairs resources because of unfair discharge classifications. "It is a national disgrace," said Manker, who served during the 2003 invasion of Iraq. "By taking this action with the courts we intend to restore the rule of law along with honor for thousands of patriots who were treated so poorly by the nation they served." The New Haven-based National Veterans Council for Legal Redress, which includes veterans with less-than-honorable discharges, also is a plaintiff. "We made mistakes with how we treated the Vietnam generation, before PTSD was well understood, but now we are doling out the same injustice to the veterans of Iraq and Afghanistan," said Garry Monk, executive director of the council.